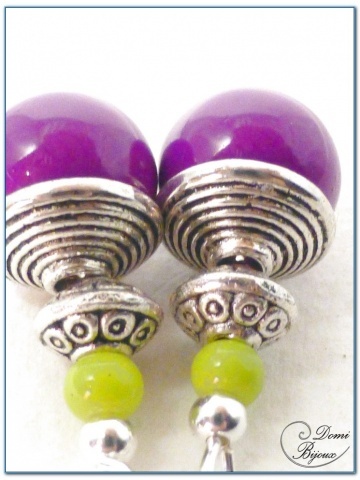 This fashion earrings silver finish are made about glass beads fushia colour 8 mm diameter and anise colour 4 mm diameter. 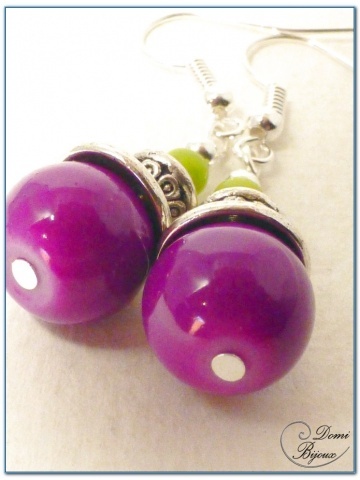 This beads are mounted with silver finish pearls. Two silver finish hooks complete this assembly. 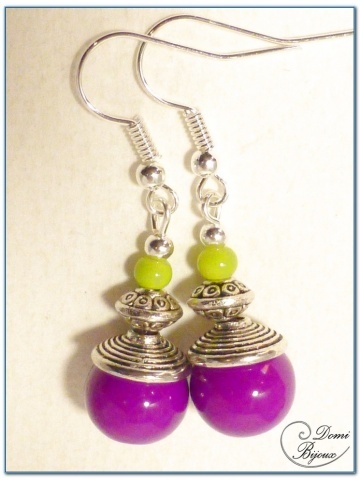 Very nice association of fushia and anise colours.